For a technology that’s so commonplace, Wi-Fi rarely receives an update unless a catastrophic new threat becomes a major issue. Most recently, the KRACK vulnerability exposed serious shortcomings regarding WPA2 connections--a technology that has been in place since 2004. 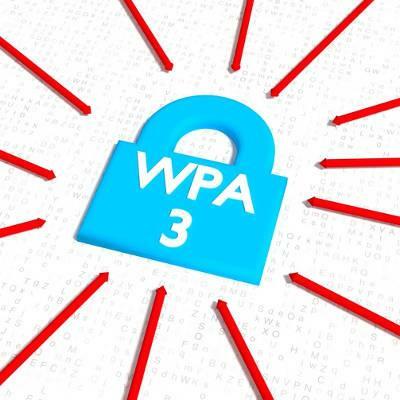 A new version of this technology called WPA3 has been introduced to combat the most recent threats and vulnerabilities, improving security considerably. This new type of connection is similar to WPA2 in most ways, including the fact that it offers both Personal and Enterprise configurations. Both of these configurations offer enhanced security for networks on the off chance that they aren’t using a complex password. However, only the Enterprise offering can claim to have a 192-bit encrypted connection. WPA3 also offers a measure called Simultaneous Authentication of Equals. This type of measure protects the connection against the brute force attacks that made the KRACK vulnerability such a huge issue. Password-guessing algorithms will have much more trouble cracking a WPA3 connection encryption than they would with a WPA2 encryption. While WPA3 exists, it’s not being implemented on a large scale, yet. The process for initial certification has started, but devices aren’t required to implement WPA3 standards quite yet. Your business will eventually have devices that are WPA3-compatible, so you’ll have to think about how and when you’ll be able to take advantage of these devices for the betterment of your business. Your organization can expect one of two things from device manufacturers as WPA3 enters the mainstream market. One of these options concerns the question of whether or not developers will actually administer patches to all of their devices to allow for a WPA3 connection on older devices. The other option is to just create new devices entirely with built-in WPA3 capabilities, which fuels profits for device manufacturers. Ultimately, it’s this choice that will change how your organization approaches WPA3 capabilities. The good news in this case is that devices with WPA2 capabilities will still be able to connect with a WPA3 device, so it’s not a question of whether or not your organization will lose connectivity overnight. It’s crucial that your business use only the most secure network connections. New threats can take the world by storm at any given day--just like KRACK took down WPA2. If the jump to WPA3 is any indication, it’s that even something as simple as a single threat could become enough of a problem to create innovation for network connection technology. This highlights the importance of always maintaining a solid hardware and software refresh schedule, as your problems can be prevented for the most part just by keeping your infrastructure up-to-date. Hardware refreshes can be costly for some small businesses with limited budgets, but it’s made more effective and affordable through the likes of hardware management and maintenance services. You can keep your business’ technology updated as new solutions are developed and released, always staying ahead of the game. We work with only the most reputable vendors as well, so you’ll always know you’re getting the best deal. To learn more about how we can help your business, reach out to us at 603-889-0800.